Indonesia is one of those countries that underwent rapid progress in the past few decades. And now, many countries look up to it for clues on development. And as in many other countries, the online community in Indonesia has grown as well, hence giving rise to many proactive bloggers. We have already talked about the top blogs in Malaysia and in the World. 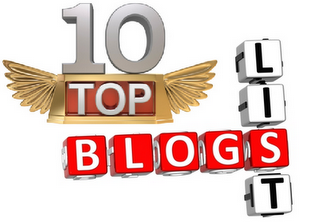 So we continue our series on the top 10 blogs and bloggers in Indonesia. These blogs aren't ranked solely on the basis of Alexa ranking, because as we've seen, Alexa rankings aren't very accurate. The initial selection of the top 10 blogs is done on the basis of many factors, such as Google PR, Alexa Ranking (worldwide), blog subscribers, social media following, and so on. This is because only one parameter cannot decide how popular a blog is. Once the selection is done, the blogs are then sorted according to their Alexa rank in order to avoid any biases. We have also included some blogs that although have a very low ranking, the people behind them are popular and proactive bloggers who participate in social events etc (such as Unspun). Most of these blogs are run by really innovative and proactive bloggers, who are good writers as well. Reading some of their posts, I noticed the level of insight some of them have. But you might be asking, so why do they have low Alexa rankings? We'll as you might know, Alexa traffic rank is dependent upon the traffic that has the toolbar installed. And most of these blog readers are locals, who don't have the toolbar installed. Hence, the low ranking. But that doesn't mean the blogs aren't good. Another thing we noticed about these bloggers was, they focus on the message and the social aspect of the blogs more than blogging itself. Hence, many don't apply blogging tricks and SEO tips. If they were to follow the tips discussed in the blogging tips niche, then their blogs have the potential to become internationally famous. But then again, it's all about what purpose the bloggers have in mind for their blogs.